Let me first announce the winner of the Forgotten Halloween Giveaway! Congratulations to Jen, and thank you to all who entered! Jen, I hope you enjoy your Halloween polishes and Bath & Body lotions. Madonna is venturing into the celebrity branding arena with her Truth or Dare line. She has partnered with Coty to launch her first fragrance, also called Truth or Dare, and the line will also launch with footwear, handbags, intimates, and accessories. Does that mean nail polish and cosmetics might also be included at some point? We'll have to wait and see! 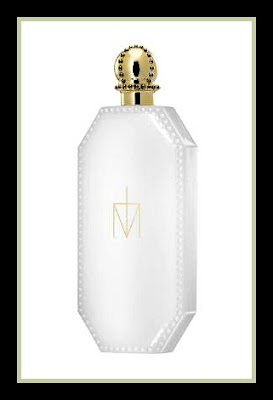 I think Madonna may be giving a nod to her Catholic upbringing with the cross incorporated into the logo and the cap showing a design that looks like it was inspired by the Papal tiara. Or, maybe I'm just reading too much into it! Can't wait to smell the fragrance. Well, at least to read what the notes will be. She does use lots of Catholic imagery in many things. I suspect it will play a big part in her designs.